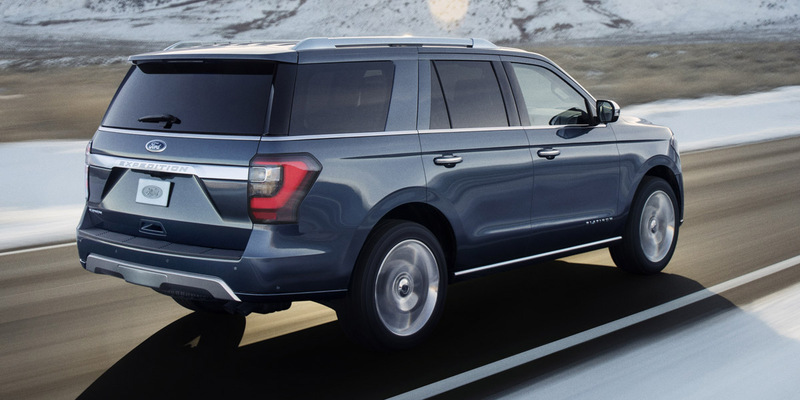 The Expedition offers a cavernous cabin, a strong powertrain, a long list of high-tech available comfort and safety features, and excellent road manners for a full-size SUV. The sheer size can make it tricky to park and maneuver in close quarters. 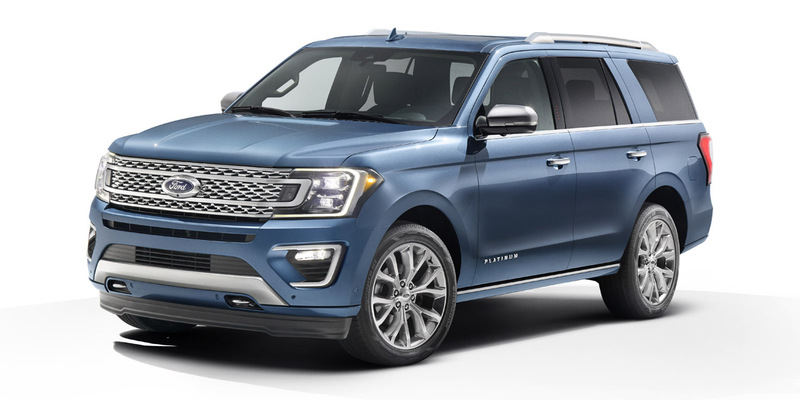 Like its General Motors rivals, the Expedition offers two body lengths—the extended-length Expedition MAX is 9.1 inches longer in wheelbase and almost a foot longer overall than the regular-length version. 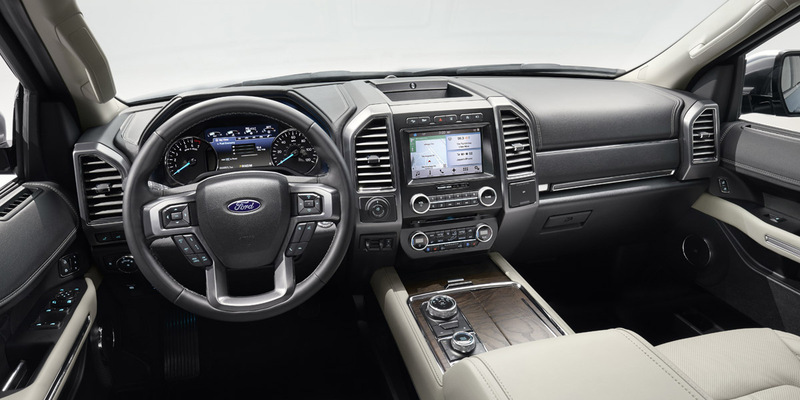 The Expedition is Ford’s full-size SUV; it offers seating for up to eight people and can tow up to 9000 pounds. 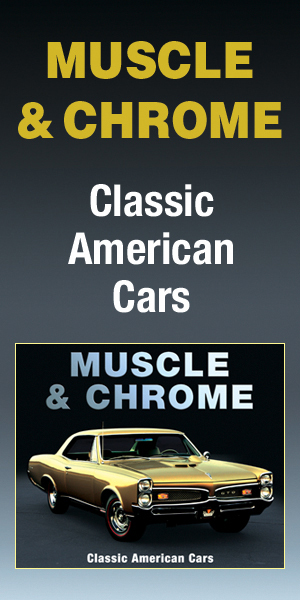 Trim levels ascend through XLT, Limited, and Platinum models in regular and extended-length MAX body styles. 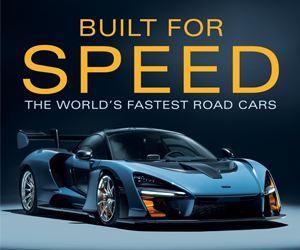 A turbocharged 3.5-liter Ecoboost V6 paired with a 10-speed automatic transmission is standard on all; it makes 375 horsepower in XLTs and Limiteds and 400 hp in Platinums. Available comfort and convenience features include a hands-free power liftgate, heated power-folding mirrors with puddle lamps, heated steering wheel, heated and ventilated front seats, heated tip-and-slide second-row seats, wireless device charging, a WiFi hotspot, self-parking system, and a panoramic sunroof. Available safety features include forward collision warning and mitigation with pedestrian detection, lane keep assist, blind-spot monitor, rear cross-traffic alert, and adaptive cruise control. 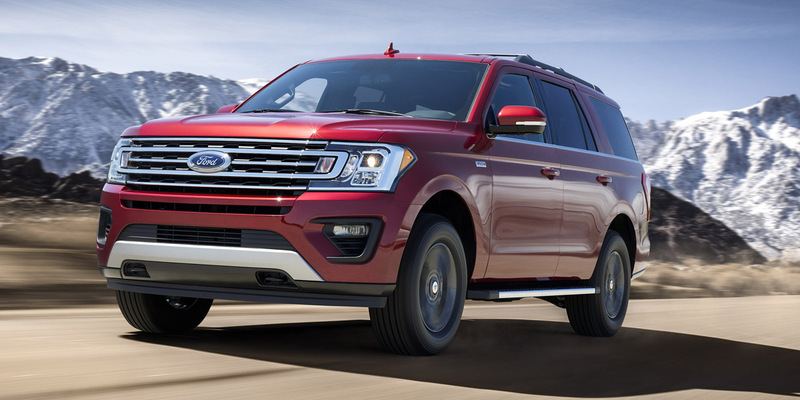 After its complete redesign for 2018, the Expedition sees only minor detail changes for 2019. A couple new trim packages will be available, including a Stealth Edition Package that includes gloss-black grille, exterior trim, and 22-inch wheels. XLT models get a new seating material that Ford calls ActiveX. 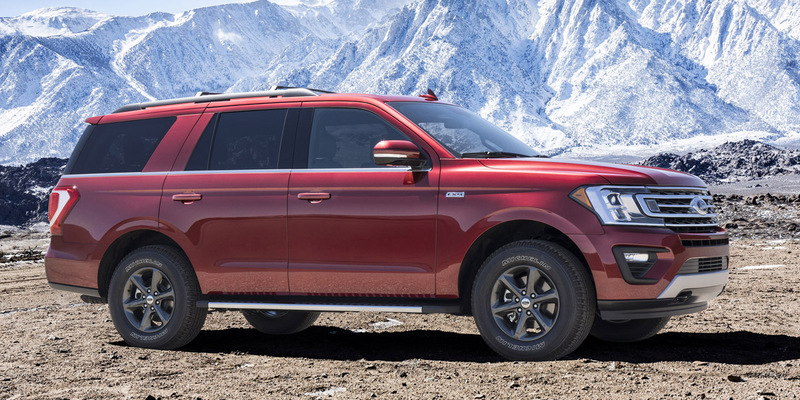 The Expedition is rated at 17 mpg city/24 mpg highway with 2WD and 17/22 with 4WD. The Expedition MAX is rated at 17/23 with 2WD and 16/21 with 4WD. In Consumer Guide® testing, a Limited 4×4 averaged 15.4 mpg in 60-percent city driving. Full-size SUVs offer outstanding capacities for people, cargo, and towing, but those heavy hauling capabilities come at a significant cost—both in initial purchase prices and at the gas pump. These plus-size behemoths are also no picnic to park. The Ford Expedition is our Best Buy pick in this class because it delivers class-leading levels of tractability and technology features without compromising on capability.